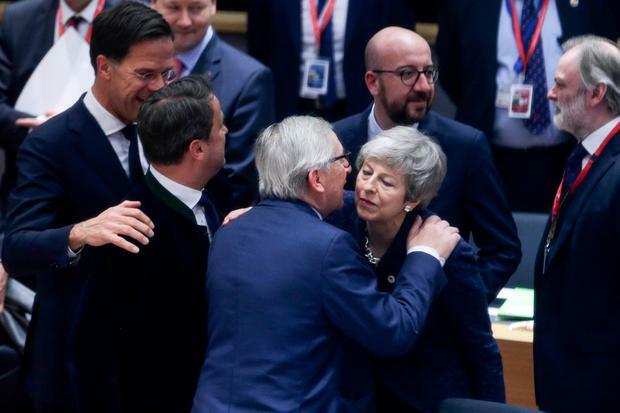 After a day of tough wrangling EU leaders have agreed on a plan to delay Brexit - postponing the risk of a no-deal crash-out by the UK which had loomed in just seven days. The chairman of a Brexit EU leaders’ summit, Donald Tusk, confirmed that the process can be delayed until 22 May – provided the UK parliament next week approves the British withdrawal deal. If the Westminster parliament fails to do this, the EU will back a shorter delay until 12 April. This again poses the risk of a no-deal ending as the UK would then be challenged to finds ways of getting the deal through or to "indicate a way forward." President Tusk said British Prime Minister, Theresa May, had agreed the EU leaders’ findings. Going into this tense day-long meeting the UK was due to leave the EU in eight days, with or without a deal, if no extension was agreed. But the plain-speaking former Polish Prime Minister also made it clear that he was not backing down on previous claims about UK Brexiteers deserving “a special place in hell” for their lack of planning for the project. President Tusk was asked directly whether he believed the UK MPs still opposing a Brexit deal might also find space in hell. “According to our Pope hell is still empty … it means there is still a lot of spaces,” President Tusk said. EU Commission president, Jean-Claude Juncker, did acknowledge tensions . “The clock is ticking not just on Brexit, the clock is also ticking in other areas,” President Jean-Claude Juncker said, indicating a certain frustration that the EU has had to spend so much time on Britain's departure. After hours of disputing over specific dates about Brexit extensions, the EU leaders finally came up with a formula to deal with the legal requirement to hold European Parliament elections in member states from May 23 to May 26 and publicise these elections in good time. Indications early today were that this formula went back to the original Brexit extension date of May 22 – provided the UK parliament ratifies Theresa May’s draft EU-UK divorce deal next week. If that third parliamentary ratification bid fails next week, then Brexit would kick in on the new date of April 12 next. This risks being a no-deal Brexit unless the UK requests a longer delay – but a longer delay would require big changes in London’s Brexit approach, perhaps a general election or even a second referendum. Speaking at a Brussels press conference, Mrs May said: "Firstly I welcome the Council's approval of the legally-binding assurances in relation to the Northern Ireland backstop, which I negotiated with President Juncker last week. After a petition to cancel Brexit reached more than two million signatures, the UK Prime Minister said: "I do not believe we should be revoking Article 50." Earlier, the Taoiseach insisted that the UK has the power at all times to avoid a chaotic no-deal Brexit. Leo Varadkar said that if the UK does end up leaving the EU without an exit deal – it will be entirely by their own choice. “We all need to bear in mind that nobody wants a no-deal here. But no-deal, if it happens, will be a British choice,” he emphasised. They needed nobody’s permission to revoke the Article 50 exit process – and resume EU membership right up to the deadline, he stressed. 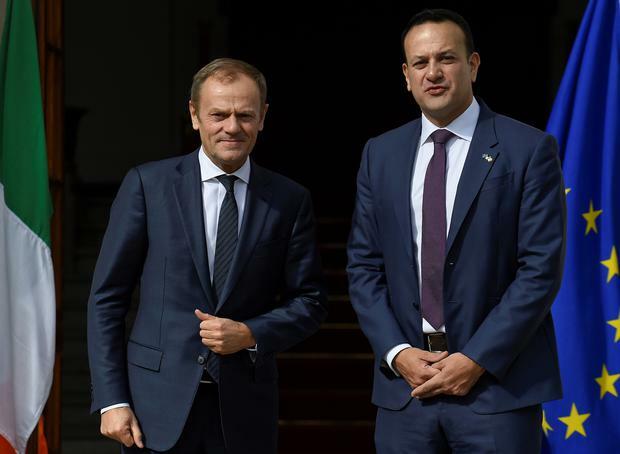 Mr Varadkar attended a preparatory summit meeting with eight other heads of government belonging to the European People’s Party before the full EU summit.